SMART Transportation Division predecessor union the Brotherhood of Railroad Trainmen (BRT), began representing workers in the bus industry in 1928, about the same time that many of the first bus companies were being formed by the railroads. Organizing was slow because federal laws requiring railroads to recognize labor organizations did not apply in the bus industry. 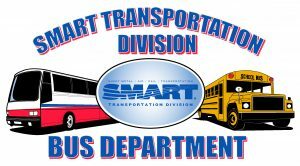 The SMART TD Bus Department has shown steady growth and achievement since its beginnings more than half a century ago. This has been possible because of the labor union spirit and dedication of the Bus Department members and officers, many of whom have brought recognition and prestige to the union through their achievements in committee work, legislative activity and in various fields of public life. For the latest news about the bus industry.